Stories of Spirits is slated for rough editing this next week according to word from the recording studio. I'm really looking forward to hearing how the book is rendered. In the process of having the various books recorded I am learning quite a bit, such as "for the next contract, make sure that there is even more time to account for problems and life events cropping up" and "when sending the script, where there are words with several possible pronunciations...put the pronunciation in brackets behind it or something to help the narrator." If you're looking for some narration experience, the Dragon Shaman books (one and two currently) are still lacking a narrator, and Selkies' Skins will need one once it is finished. If you've got an ACX account, please feel free to audition. If you don't have an ACX account yet... Why not? It doesn't cost anything to sign up, and there are hundreds (if not thousands) of books looking to hire narrators. You also get a free copy of any book you're hired to record, so for those that just have reading in their blood it is a good way to both read AND earn income. For those that were not aware yet, the fourth part of Chapter 24 (To Artenhame) in the webnovel Selkies' Skins is available to read for free. Find out the next part of Kirsty's story as she works toward gaining her own selkie skin and becoming whole. The first part of Chapter 25 (The Old Ones) will become available either July 7 or July 14, depending on whether enough donations come in to unlock an early release. We still need $3US to bump us up to the $5 mark. I am still accepting both guest posts for this blog (authors this means you can talk about yourself and your books) as well as submissions of dragon art, poetry, essays, and short stories for the collection "The Dragons' Beads: A Treasury." Submissions for the anthology are open until July 31, 2013. Anything received after that will be considered for a separate volume. Young authors are exceptionally welcome for inclusion in the anthology. The purpose is to highlight new dragon works and to help authors and artists to become established while showcasing their work. Authors will retain full copyright to their material. Editing services for works in the anthology are free. There will be the possibility of winning a slot to have a book edited for free and small cash prizes ($5 to $10). All entrants will receive a free copy of the ebook. To submit, please send email to ladyrainstardragon@hotmail.com labeled as "submission for The Dragons' Beads" or "guest post submission." 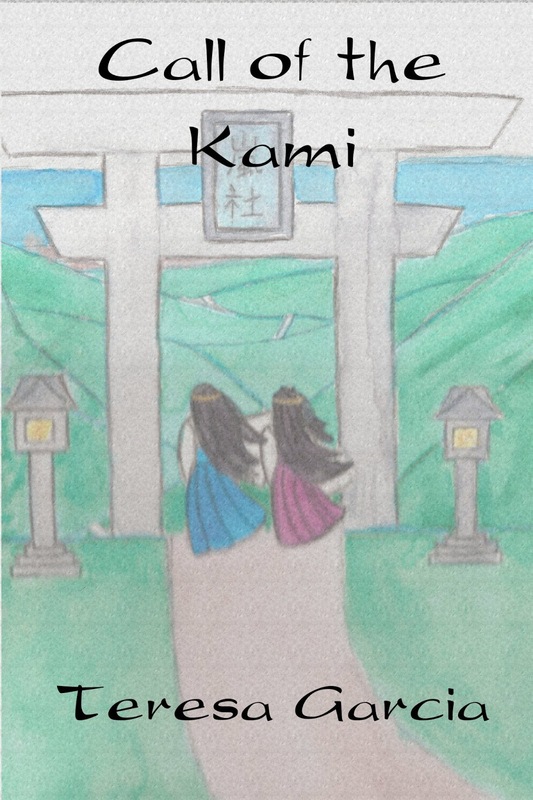 Call of the Kami ebook will be dropped to $1.50 on Amazon http://ow.ly/mbKas for 6/20 through 7/19, 2013. Sadly I cannot run a special on the audiobook as ACX controls that price. The world is a fine tapestry, ever worked and ever evolving upon the loom of spirit. The worlds of the visible and invisible mesh, and sometimes the unseen is glimpsed between the red posts of the torii on a walk in the woods, or at home. The Kami ever call for their Miko, and they are both within us all. The flower of a poem opens her petals to the sun, amidst a garden of other poems. "Homeward Bound" and "Impossible Love" by Marantha D. Jenelle have been edited and are available for sale at Amazon, Lulu, Smashwords, and Barnes & Noble (keep checking Barnes & Noble for when Impossible Love finally goes live). Hopefully the ebooks will have preserved their formatting. If you get a copy that is messed up, then please let me know so I can go in and fix it (again). I have begun the editing process for Irony while there is some time in my schedule. I am unsure how long it will take to get through, even though it is roughly 82 pages. The manuscript of Selkies' Skins is growing well. Next week will see another installment posted for those that are following the story. So far things are looking well for the completion of the manuscript and for getting the ebook and print versions available by the planned date. If you're a reader of that one and have questions or spots that you get confused at, please let me know. You may find your questions helping influence side stories in order to answer questions that had not been considered while writing. I also will have a wedding consultation this weekend with a pair of Siskiyou County's authors, which I am looking forward to. I am confident that the ceremony designed for them will go well when it is time for the ceremony. This will be special as there will also be the inclusion of their child, and a baby blessing. These are two of my most favorite things to do in my ministerial/priestess role. Yesterday and last night I finally started reading "Adrift" from The Last Selkie series by Elizabeth Reeves. I found the author as a result of putting Selkies' Skins out in the serialized form and putting up an entry on the Web Fiction Guide. I ended up reading "Avow" last year, which is the prequel and made myself wait so that I would be certain her work did not influence mine. I finally could not wait any longer. Waiting to read is absolute torture. Something that surprised me a bit to note is how in "Adrift" spinning and weaving were some big elements of the story. In Ms. Reeves' story, the selkie mother provides a sealskin for her daughter by working some magic... she spins the yarn and weaves the skin silently. I thought that was brilliant, and I was relieved to find that her version of the "gaining the skin" trek back to the sea is different from mine. There is also a bit of romance, and a love triangle. It is rather hard to think of a selkie not having at least a little bit of a romance going on. The romance is not over done at all. I did want to smack a few heads, but everything was believable. Action features quite a bit in here as well. There are also horses. No, not waterhorses. They are just as good though. The horses I found to be rather important as they gave a common link between the selkie and one of her rescuers. Now, the human rescuer, like many of Irish roots, has a wee bit of a surprise to them (that should be easily guessed by the first description). I don't want to give away too much of the story, but seriously... if you like selkies, read that book. 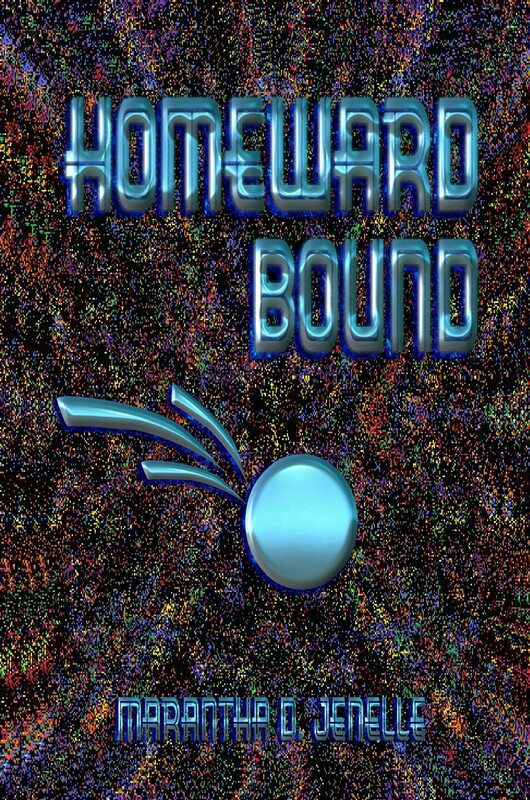 The electronic editions of Homeward Bound are finally all available. Sharon Maitland discovers shortly after her sixteenth birthday that her entire life had been based on lies. That proves to be the least of the shocks that she would undergo in the months following her birthday - one of which would forever shatter her belief in reality as she had always known it. There is a key choice that she must make, upon which the fate of her life and the world rely... but what is it? If Marantha is agreeable, this is one that I would like to see get turned into an audio book as well.